CELPIP, short form for Canadian English Proficiency Index Program is another Proficiency test for English language like IELTS, TOEFL and PTE which is accepted in by different colleges, professional institutes, universities and governments as a proof of your command on English language. CELPIP provides a valid and genuine assessment of a test candidate’s English abilities in different situations, like communicating with colleagues, subordinates and superiors in the workplace, interacting with family and friends, understanding newscasts along with interpreting and responding to written materials. Most popular CELPIP Test is available in two models: CELPIP-General Test and CELPIP- General LS Test. ✔ Other is CELPIP-General LS Test. CELPIP-General Test is to assesses functional Listening, Reading, Writing, and Speaking skills, and is very well accepted by Immigration and Citizenship Canada (IRCC) as main proof of proficiency in English language for Permanent Residency (PR) in Canada. 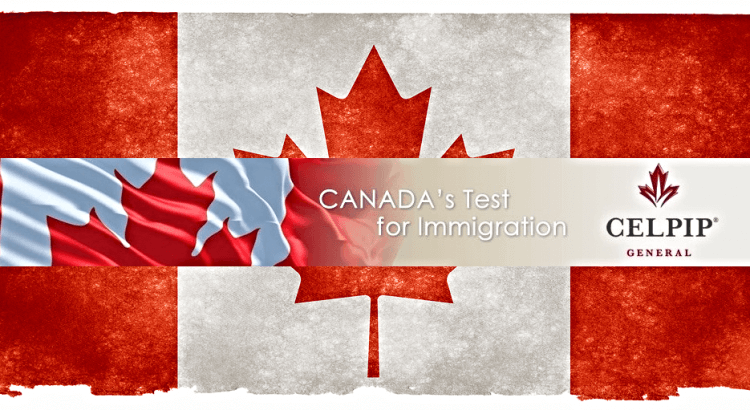 Other than that the CELPIP-General Test is accepted by the Real Estate Council of British Columbia called (RECBC) and even by Immigration Consultants of Canada Regulatory Council (ICCRC). The CELPIP- General LS Test assesses only functional Listening and Speaking proficiency ability, and is accepted by IRCC for Canadian citizenship. So in India most popular is CELPIP-General Test for the purpose of PR in Canada. It has four skills —Listening, Reading, Writing, and Speaking, and other CELPIP General LS has two skills to assess —: Listening and Speaking. ✔ Listening and Reading sections of Test contain Non scored items used for test development. ✔ These Non scored items can be found anywhere within each test and will have the same format as the scored items. ✔ You will not be able to tell scored items from Non scored items, so apply your best effort to the entire test. ✔ Test takers will be required to read answer choices in the Listening Test and questions in the Speaking Test. What is the total time duration of CELPIP General Test? Test time for the CELPIP General Test is approximately 3 hours (180 Minutes). What is the Test fee in India.? Where is CELPIP Test Centre in India? How sooner or later can I retake this test? It can be done for more than one Test Session only if all Test Sessions are at least 30 (thirty) calendar days apart from each other. What are the policies for Transfer, Cancellation and Retake of CELPIP TEST? Your registration for a Test Session is specific to the session (date, time and location) specified in the registration. You may not cancel or transfer your registration for a Test Session except in accordance with this Policy.